Sliding or driving? 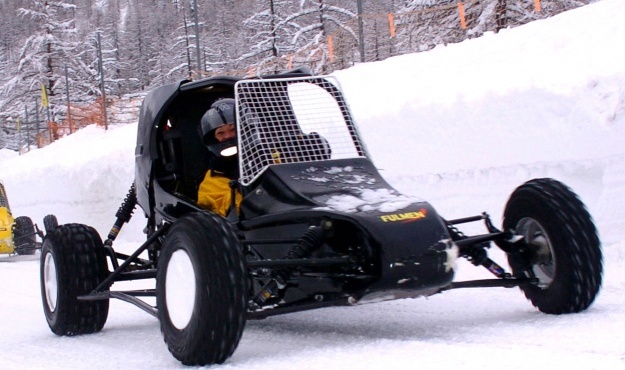 It’s a no-brainer… at least, with a go-kart on ice. It simply doesn’t compare to driving these small, zippy vehicles on dry land. On ice, you need the precision of a surgeon and must avoid braking at all costs, otherwise… it’s side-slipping all the way! You could say that it is an excellent opportunity to learn some driving techniques: when the kart goes out of control, you need to reduce the throttle and counter-steer… but you will have to be quick – to move these little beauties, your reflexes need to be ten times faster than usual!